If you are new here, we are a homeschooling family of four building an off grid tiny house and homestead with our bare hands from scratch on the Canadian East Coast. We want to live a simple, debt free and independent life among the trees, basically. 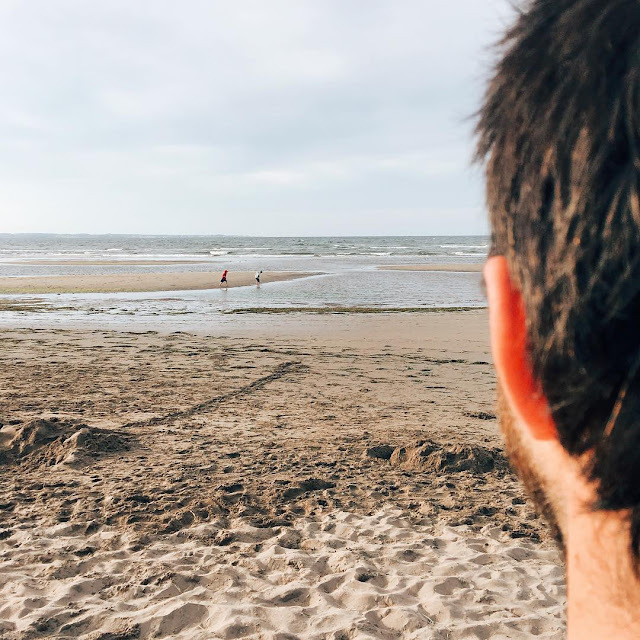 While looking for a piece of property to start your dream homestead there are all kinds of things to think about and consider and this is what I am sharing in this post. I also did a YouTube video with all these same tips if you would rather watch than read. I plan to document our entire Off Grid Tiny Home and Homestead Build for our own mementos and to inspire others who want to do the same. If you would rather read, keep scrolling! How much money do you have to spend on property? The first thing to consider is your budget, because if you can't afford it, it is completely out of the question. Our budget was quite small because we were buying a land with no lender involved but we found this was the first filter we set we we set to the internet for our search. Soon after you start searching, you will get a feel for how many acres that will get you in your desired area. How many acres do you need to homestead? For some, this number is set in stone because they have specific plans for how they want to use their property. For others, like ourselves, this number is negotiable. But, how many acres do you need to reach your goals, or accomplish what you want to do on that piece of land. Now obviously, we want as many acres as possible because we really want to feel secluded and one with trees, but at the very minimum, we need one acre to build our 16x20 off grid cabin, a greenhouse, chicken coop, and maybe some other animals. How remote do you want to be? Basically, how far do you want to drive when you need something or run out of something? If you want to be really remote you will need to be willing and have transportation to drive far distances to what you need, whether that is a supermarket, hardware store or for other shopping needs. Also important to know is how long it will take emergency services to get to your property in case of an accident and if you are capable of providing CPR and first aid is you are very remote. 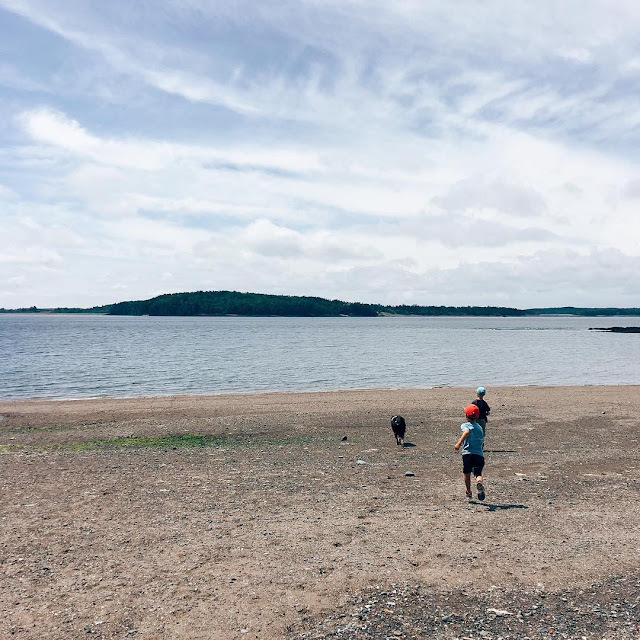 We wanted to be around 200km to a town with shopping centres and hardware stores so we can plan a day trip to get everything we need but also to be close to our amazing homeschool community. What does the ideal property look like? There are all different kinds of properties out there, some are flat, on a hillside, pasture or wooded. Some are susceptible to flooding or are just really wet and boggy. What does your property need to look like in order for your to accomplish your homesteading goals? If you want to raise cows, you may want to look for cleared land and if you need trees for firewood, you may want a wooded lot. For our Off Grid Tiny Homestead, we wanted a wooded lot because our home is going to be quite small so it doesn't need to be cleared, but also because we want to use those trees for fence posts and firewood. Do you need municipal services to your property? If you still want to rely on the grid for plowing your road, providing water to the property or for sewer services you will want to add this to your list of considerations. If you don't want to pay the large amount to have a septic system put in place you will need to be certain you can legally have a composting toilet or outhouse on your property or find one with a septic system already in place. The same goes for your water and having a well drilled, collecting rainwater or using the town's water. But if you are looking to build an off grid property where you use an outhouse or hand drill your wells, you'll need to find an area where you can get away with it because it is largely illegal to be off grid in Canada. I'll talk more about building off grid legally in another post. You'll always want to follow the rules, especially if your home is what's at stake. In some areas you are not permitted to build tiny houses, ridiculous right?! Again, I'll talk more about where you can build an off grid home at another time. Does the Zoning and By-laws allow you to do what you want? Some municipalities or townships restrict what you can do on your property. If you can use it as a business, residence or a farm. There are also by-laws that will restrict the amount of chickens, larger animals, and if you can even have a family daily cow. Being aware of these by-laws is so essential to finding your property for your homestead! 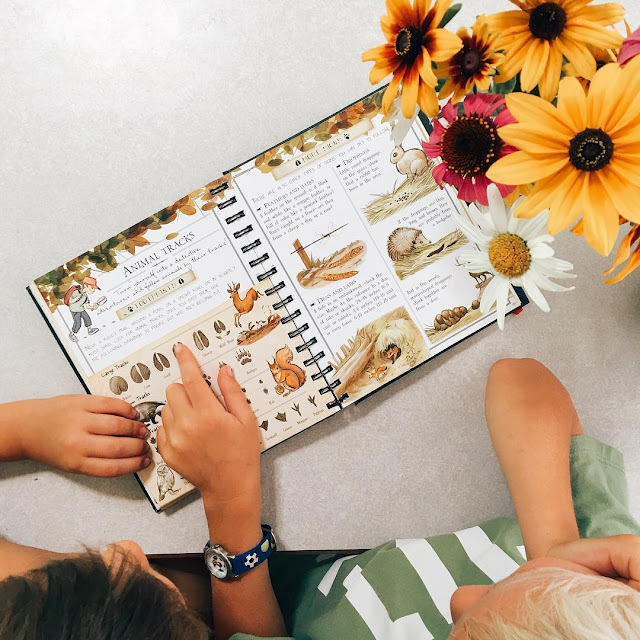 A while ago I shared a photo on Instagram of our homeschooled boys working away in our Canadian Math workbooks and the publisher reached out to me and asked if I would work with them to provide an honest review of their service in exchange for a free subscription to their online database of 1000s of Canadian workbooks & worksheets, which I didn't even know was a thing, so of course I agreed! This post contains affiliate links. To learn more, read our disclaimer. I first found Chalkboard Publishing's workbooks in our local educational supply store while browsing for a Canadian Math Curriculum and I have to admit, I'm a bit picky when browsing for workbooks to use in our homeschool. I particularly dislike the 'all-in-one' curriculum books because we only homeschool Reading, Writing and Math around a table, everything else you find in these bigger books, like STEM, social studies, or history, we learn by exploring in life, museums and the outdoors so there are large portions of the book we just won't use and it seems so wasteful. 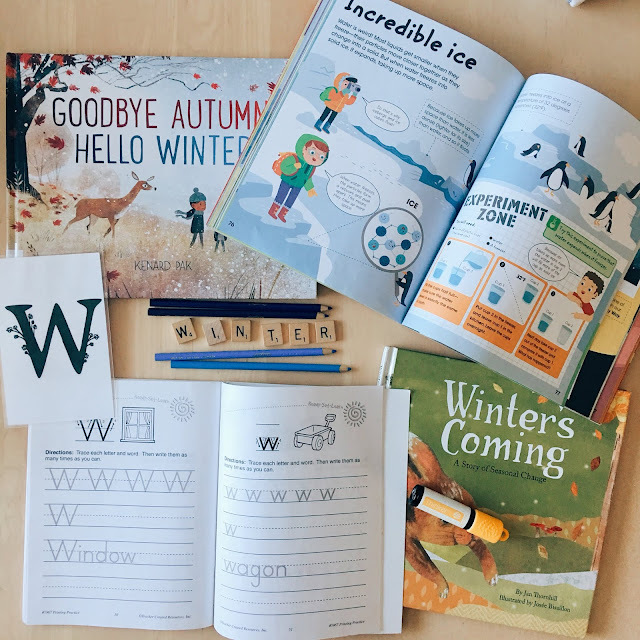 I love these beautiful, clean & engaging workbooks that align with our Canadian homeschool Curriculum because they are full of 100% Canadian content which is hard to find when you are picky, like myself! I picked up a Daily Language Grade 2 and Canadian Math for Grade 1 and 3. But what I didn't know was Chalkboard Publishing also has all of their full workbooks and 1000s of other worksheets for Kindergarten to Grade 6 available on their website and online database which you can get a yearly subscription for. They have a wide variety of Daily STEM Curriculum, Remembrance Day Activities, Indigenous Studies and even a Yoga book! You are able to easily search the database for the worksheets you need by Grade, Subject or by curriculum ie. American, Canadian and even French Canadian. 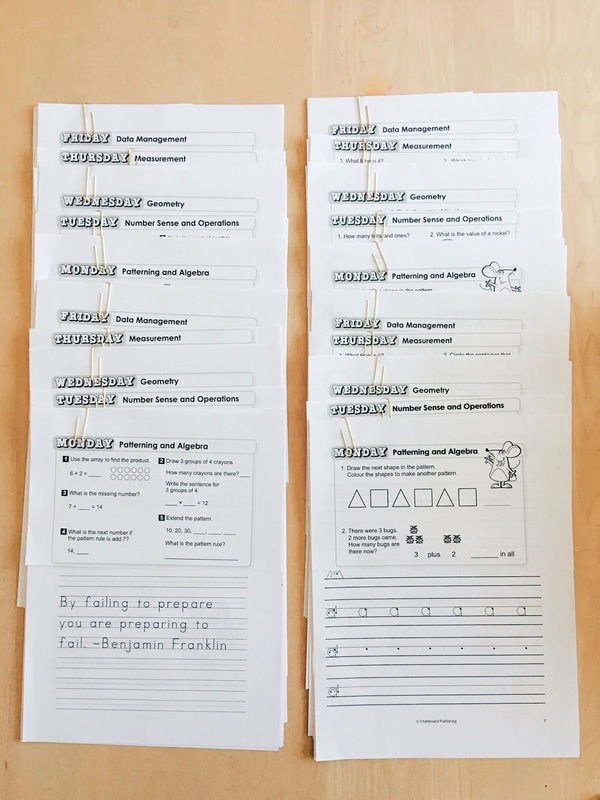 Once you find what you are looking for, you can either print the entire workbook just like you would find in store or just the worksheets you will need, which helps save paper! 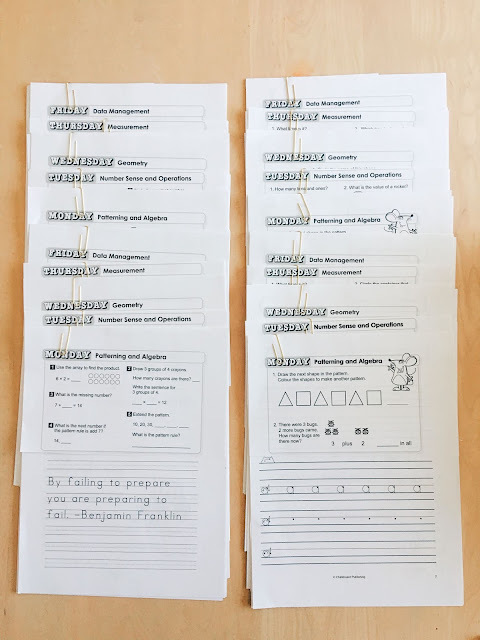 I have really enjoyed this database of worksheets because I have been finding the Reading, Writing and Math worksheets for two weeks, printing them all off and sorting them so we have two weeks of homeschool planned and ready to learn! (There are two piles above because we have two children.) I also love that I can print only what we need, saving space in our tiny home. Chalkboard Publishing has affordable yearly memberships for their online database for just $16.66 a month which gives you access to 1000s of worksheets for the price of a single workbook, really. 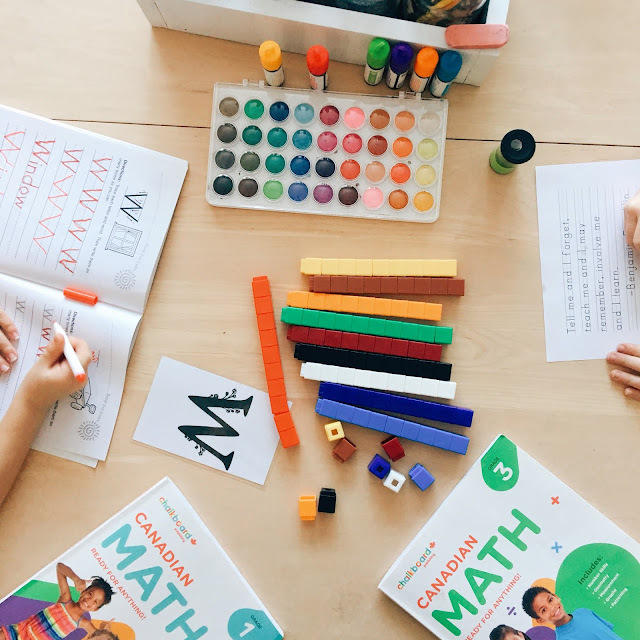 But they gave us the coupon code CBAF40 to save 40% on the subscription to share with our friends and family so I'd like to invite you to check them out because we really enjoy their worksheets and wouldn't be sharing it with you if we didn't! Lessons Learned from Homeschooling | You don't need a homeschool room! When I first began homeschooling my youngest his junior kindergarten year in 2014, I wasn't really sure why I wanted to homeschool, what I needed to do, what method of homeschool was best, or what homeschooling required of me, but I was certain I wanted to be the one educating our all future children! 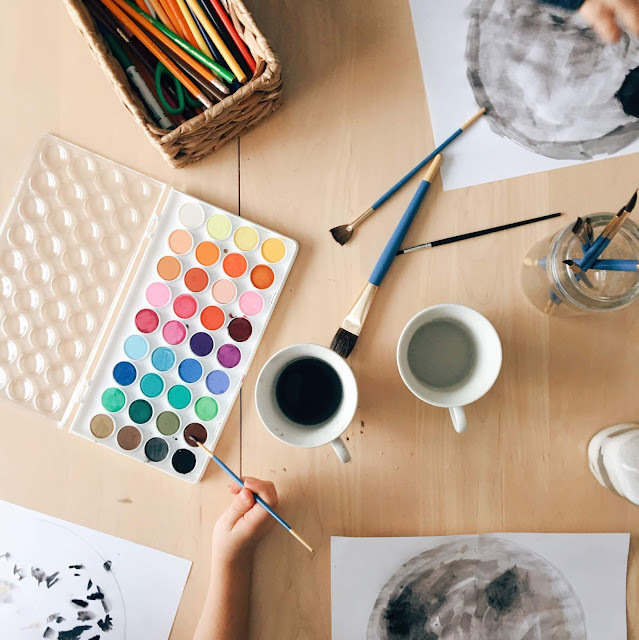 We've been homeschooling for a few years now and have really fallen into a rhythm or groove with our own style of homeschooling but it didn't come easy. Our first year of homeschooling was totally ruined by this newbie homeschool mama trying to do 'school at home' and missing the whole point to homeschooling. I felt like a complete failure and fraud! Needless to say, my children weren't the only humans getting educated in this homeschooling journey of ours. I have learned so much and I want to share it all right here with families who are considering homeschooling and to encourage families who are just beginning to home educate their children. Homeschooling is a lot of work and it will take time before you fall into your rhythm so don't feel like you have to have it all together, all the time. Subjects will be forgotten, pyjama days will be had, you will be late, you may fall behind in your studies, and you may never drink your morning coffee hot again but.. this is important.. learn from this. All of these things that seem like they are going wrong are actually all signs, cues, and directions to what your homeschool rhythm needs to look like. If you are over scheduled and are having a hard time getting everything done in your day, stop and listen to the cues, re-evaluate and adjust your homeschool schedule. Just because you may not feel like you have it all together like a Pinterest mom, it does not mean you have to, or that you aren't finding your own unique homeschool rhythm when it may feel like you are failing. Lessons Learned from Homeschooling | You can do what works for your family! There are all kinds of homeschooling methods out there. Montessori, Waldorf, Classical, School at Home, Charlotte Mason, and Unschool, to name a few. If one of these styles aligns perfectly with your homeschool beliefs or values and will work well for your family, dive in and have fun with it! But, you don't have to pick one. It isn't written anywhere that you need to pick one of the above methods and stick to it, to homeschool your children. Do what works for your family. If you are unsure of how you want to home educate your children, do a little research on each of these methods and see what speaks to you, what you like about each method, and what will work with your family dynamics. This could mean that you are pulling your favourite parts out of each method for an eclectic homeschool. When I first started homeschooling, I went with what looked School at Home but what actually works for our family, and what our children thrive with, is a mix of secular homeschool, Charlotte Mason and Unschool! The community has become more and more diverse over the few years we've been homeschooling, but in the beginning, I couldn't find a homeschooler in our small town I could relate with if my life depended on it! But now, with billions of social media accounts and more families choosing to homeschool, the online community is quite large and diverse. So start there. Once I found a local homeschool group on Facebook that aligned with our values, we had so much more moral support, a community of likeminded homeschoolers, and our children made those priceless long term childhood relationships we feel are incredibly important. Homeschooling can be isolating so you will want to find your people, and you will, and it will feel magical! Lessons Learned from Homeschooling | You don't need expensive curriculum! Sound the alarm because you can homeschool for little to no money spent on curriculum! When we first started homeschooling in 2014, we started shopping for complete curriculum programs that would have set us back $750 a year, but what we have learned over the years is that you can actually homeschool, for very little. I mean, if you have the money to spend on curriculum, and it works for your family, go for it! But if you want to save the money so your spouse can work less, there are all kinds of resources out there and Pinterest is a homeschooler's treasure trove. What we would rather spend our money on is national park passes, admission to museums, and travel expenses so we can explore nature studies... out. in. nature! We spend very little on curriculum each year because we love to use Chalkboard Publishing. You can create an account and get access to their digital library of thousands of worksheets, workbooks and activities on all kids of different subjects! I can easily find what I'm looking for and print it off at home without breaking the bank! Here is an in-depth review of Chalkboard Publishing if you want to learn more about their affordable curriculum. Here is a huge list of free or inexpensive homeschool resources! Lessons Learned from Homeschooling | You can homeschool anywhere! When we first started homeschooling we had a three story town home with an entire basement to peruse while we learned. I felt obligated to fill this space with fun and educational toys, letters and numbers but now we live in a tiny home and we are homeschooling a second child in a fraction of the space. 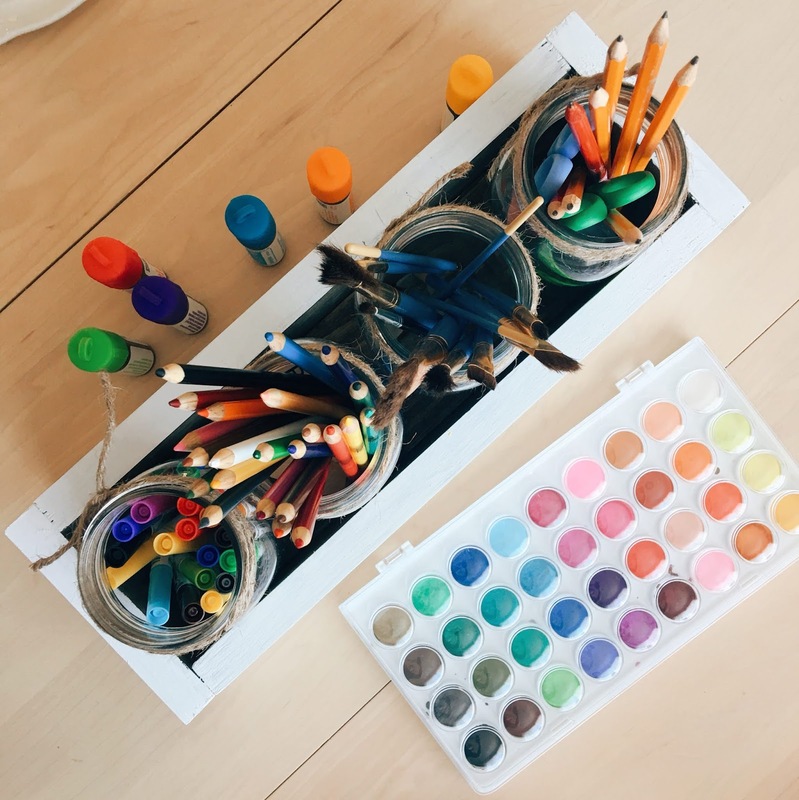 What I have learned over the last few years as I became a minimalist and homeschooling at the same time is you don't need a dedicated room, you don't need baskets and baskets of manipulatives or toys, and your classroom doesn't just exist around the kitchen table. Take a look at this list of what a minimalist homeschooler actually needs. Our best homeschool days have happened in aquariums, museums, and walking on the ocean floor with a notebook! Don't let space hold you back and don't limit yourself to a classroom. Sure, you'll learn a lot about your children. They'll let you know what they enjoy or don't, what they are great at, what they struggle with, and what really lights them up but homeschooling will teach you so much more about yourself. I can't tell you what you will learn about yourself, but for myself, I have learned I needed to be more patient with them, to listen to what they are saying and what they weren't saying. I've learned that it takes everything I have to stay consistent with their studies. I have learned, although I still doubt it from time to time, that I am a great mom and that I absolutely love homeschooling! 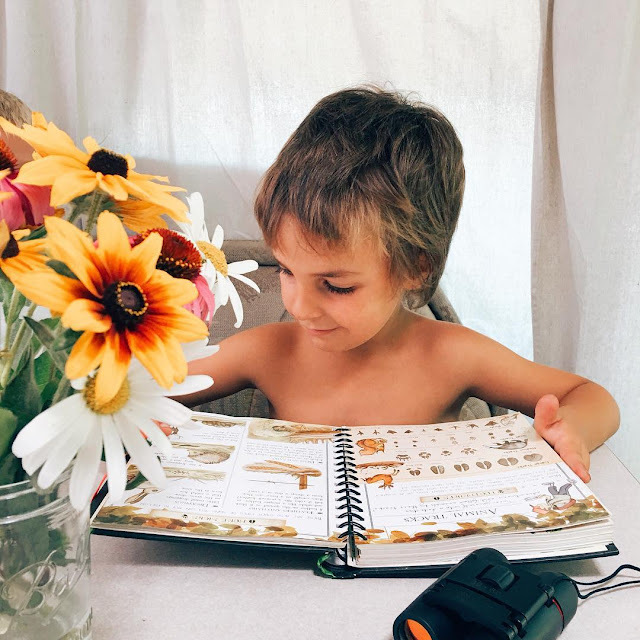 You may also enjoy: Reasons why our family chose to homeschool our children..
6 Lessons I learned from homeschooling my two boys! This compilation of free, or inexpensive, homeschool resources is a perpetual list for you, but also for me hah! Keeping all these amazing resources in one place AND sharing them with other homeschoolers is so important for my sanity and for our homeschool community so please take advantage of it! All the resources are categorized by subject but if you use your control+F function on your keyboard, you might be able to better find something specific or something on what you are currently studying. Some of these are American or Canadian Resources, some are Secular and some are not. Also, if something in this list isn't available anymore, or the link is broken, please comment at the bottom of the post so I can keep it current for everyone. List of free or inexpensive homeschool resources! If you are looking for Canadian worksheets, activities, and workbooks, I know how frustrating it is to find what you think will the perfect resource only to find halfway through it, the currency is American! But I have found a treasure trove of Canadian Resources! Chalkboard Publishing has thousands of Canadian worksheets, activities, and workbooks on their website that can easily be downloaded and printed at home. Here is an in-depth review of Chalkboard Publishing and their online database of educational materials! PBS LearningMedia | FREE lesson plans on Chemistry, Engineering, Mathematics, Physical Science, Art, Nature, Human Biology. FREE or Cheap Homeschool Curriculum, Printables, and Resources! I love the homeschool community on Pinterest and Instagram! I love looking at all the beautiful, inspiring, and very well organized homeschool rooms but we live in a 160 square foot home on wheels. Space is at a premium! But when we first started homeschooling in 2014 we actually lived in a three story town home and had a dedicated basement for all the homeschool toys, tables, books, and craft area but we have made some big life changes since then and are still dedicated homeschoolers. What I have found over the years as we downsized again, and again, is that we really didn't need all the things you'd think you need to effectively homeschool your children and that you aren't any less of an amazing homeschooler if you don't have a dedicated homeschool room. Shake off that homeschool room guilt with me! We have a very eclectic style homeschooling. We love to pull from Unschooling, Charlotte Mason and Classical Homeschool to create what works for our family and the tools we use are quite minimal! We use may resources outside the home to enrich the bulk of our homeschool. This post contains affiliate link. To learn more, read our disclaimer. We don't just have a regular library card, we have an Educator's Card which allows up to borrow 150 books at a time for up to 6 weeks, not that we have room for all those books, but it means we can borrow the really good books for a longer period of time before we need to return them, rather than just purchasing them ourselves. Our library card also gives us access to borrow audio books, ebooks, and even Rosetta Stone through the library's website. Also, we can go to the library to use their 3D printer, sewing machine and take advantage of many programs they hold every week and play one of their MANY board games rather than accumulating our own set at home! 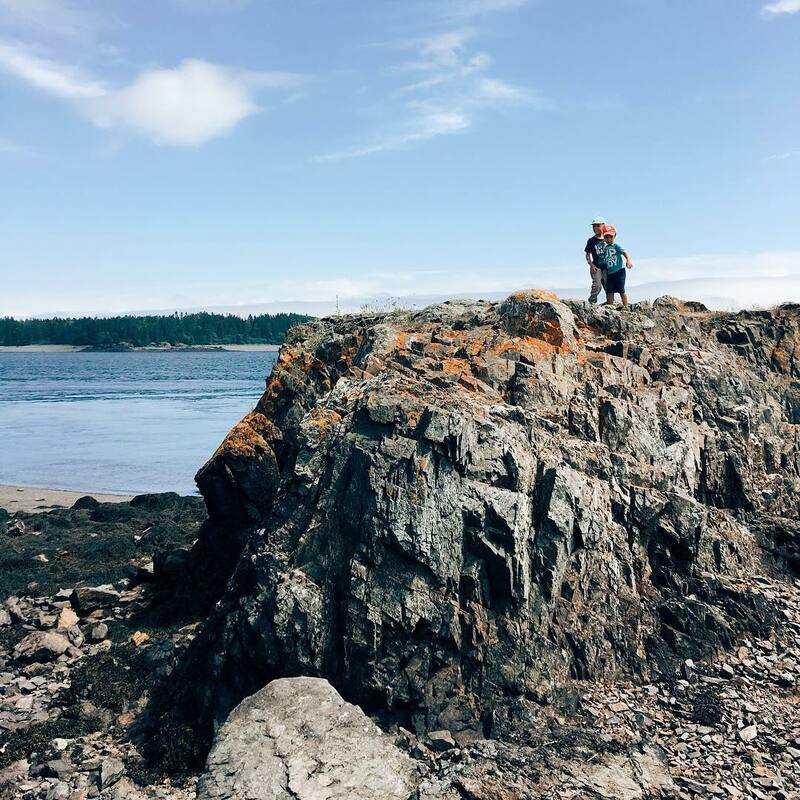 In this post with 6 lessons we learned from homeschooling our boys, I touched on how you will find your people when you become a homeschooler and we have the best people! Our homeschooling community consists of around 120 families and there are a few parents that really support and help our community flourish by sharing their stories in the facebook group, planning homeschool field trips or guided tours and some even host science or heritage fairs. Often these homeschoolers will share their curriculum with each other as well! Legos, Skip-bo, Uno, and a regular deck of cards! One of our biggest space savers as a minimalist homeschooler is being able to find workbooks, worksheets, and activities online rather than having a bookshelf full of them at home. I have a list of free or inexpensive homeschooling resources here but my favourite resource is the Chalkboard Publishing website because they have thousands or worksheets, activities and even full workbooks you can download and easily print off at home! Here is an in-depth review of Chalkboard Publishing and their digital library of educational materials. If you enjoyed this post you may also like to know the 6 reasons why we chose to homeschool that have nothing to do with religion! What a Minimalist Homeschooler Actually Needs! | A supply list! We often get asked 'why did you decide to homeschool?' Usually, this is asked by people who are not homeschooling yet or new home educators who are second guessing their choice.. If you are the latter check out this post on all the lessons we learned while homeschooling our two boys. There is great motivation to keep you going, if that's what you want. Because this is one of the most frequently asked homeschool questions, aside from 'how do you socialize your children', I thought I would fill you in and shine a little light on why we chose to homeschool our two boys. It's way more fun than public school.. Instead of learning about sharks from a cut and paste activity in a classroom we can go to an indoor aquarium and walk in a giant tube as they swim over us! Yep, that actually happened! Or instead of learning about landforms in a classroom with play dough, we can go for a hike over a mountain, have a picnic in a valley, hike up a trail and find a cave, a cliff, a waterfall and a stream! That also happened! 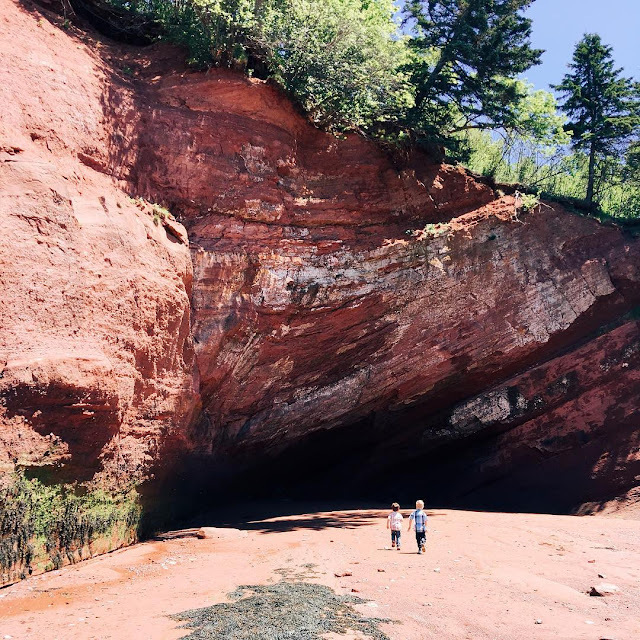 Or instead of learning about fossils with play doh inside, we can go to a shale beach and pretend we are Paleontologists and actually search for fossils on the shore, smash open ice blocks full of dinos and cast a footprint in the dirt! Also happened! I don't need to elaborate on this point because it's way more fun to let you imagine all the fun to be had and get excited about your homeschool journey! 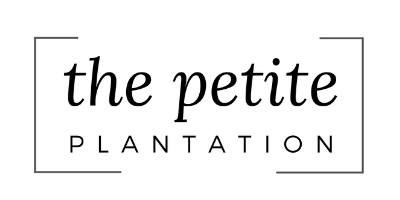 But if you want to watch some of our daily shenanigans, follow @thepetiteplantation on Instagram. Although we are finished having babies, we are still very much building our family! It never ends. 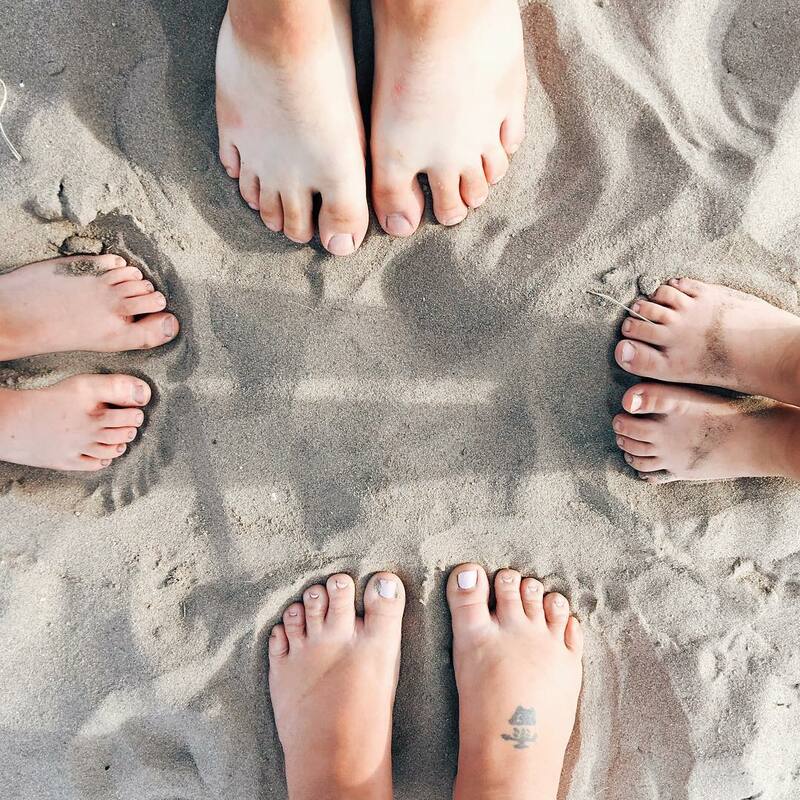 We are building the bond between our children and ourselves, creating long lasting traditions so they are called home to their family even as adults and we're building our family taproot. Homeschooling develops so much more closeness in a family and we really want to help them build great character, mannerisms, and a relationship that will survive the teen years, really. Keep reading more below this advertisement..
From the time they are able to dress their own tiny bodies to when they will leave our humble nest is terrifyingly short and we don't want to miss any of it! One third of their school-aged years could have been spent outside of the home, and you don't get that time back! We are financially able and capable to homeschool them so we would rather they spent those years growing at home rather than in a public school. These childhood years are priceless. 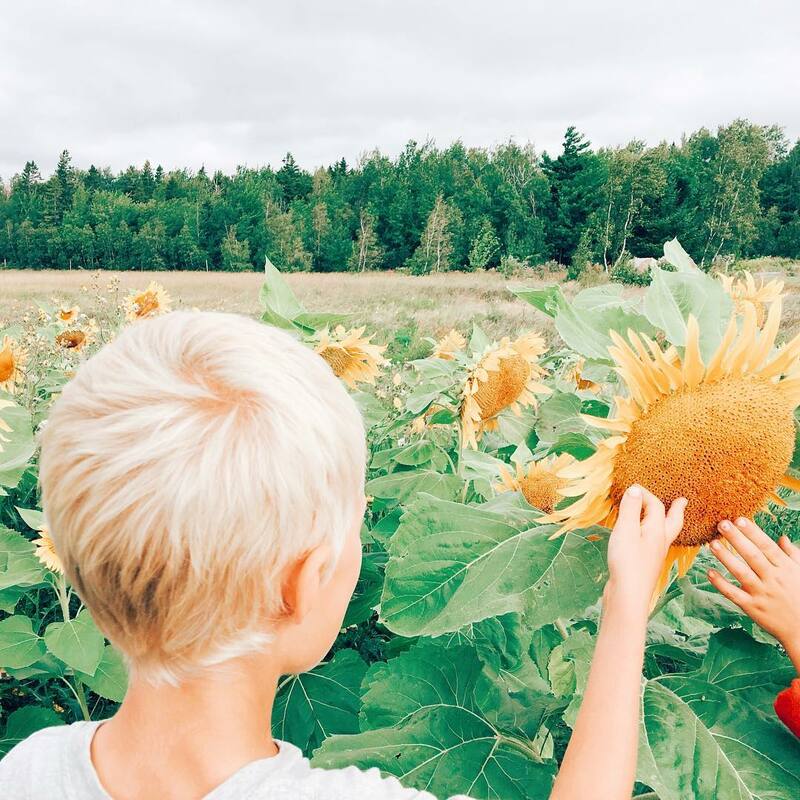 Reasons why we homeschool | Freedom of a whimsy schedule! Having flexibility in our schedule has allowed our family to move across the country and back. It has allowed us to live in a tiny home on wheels to wander and explore this beautiful country in which we live. And we've really enriched our homeschooling experience, their education and our lives! We are able to take long weekend educational road trips where we all learn more together than the kids would if they were sitting in a public school for the same number of days. We also have the freedom to take time off when we need it to recharge, for family emergencies, and other appointments because we homeschool all year long. Our life would be vastly different if we were't homeschooling. Reasons why we homeschool | Education isn't just in a classroom! I have this saying that education is everything because you can learn anything new anywhere, you just need to have the mindset for it. And because we know they learn so much more on our homeschool adventures, we are determined to explore even more places, visit new museums, and take more hikes which in the end, just creates an incredible homeschool experience and more pleasant family memories for us all. In many countries parents are not allowed to homeschool and in some provinces/states you still have to report to the school board. There are places on this planet where most children aren't even able to go to public school because they need to help provide for the family. We live in Canada where we still have the right to public education AND the right to home educate our children so homeschooling is very much a choice and a gift we are grateful to take advantage of. And we understand that even in Canada there are families who wish they could homeschool their children but can't because they have their own road blocks to overcome but we can, so I am grateful for the opportunity and all the above reasons why we chose to homeschool our children! If you enjoyed this post, you may also enjoy these 6 lessons we learned from homeschooling our 2 boys..
6 reasons why we have chosen to homeschool our boys! Ways to be more sustainable & self reliant | Cook your own food! Our family is always looking for ways to save more money and become more self reliant and it's not just because we are cheap! Doing it yourself, making it yourself and putting in the extra work to be more self reliant saves us a ton of money so we don't have to work as much, gives us valuable skills, and teaches our children to do the same. Below is a list of ways to be more sustainable and self reliant. Now, I'm not saying you have to do all these things, but starting somewhere is better than relying on grocery stores to feed us, power plants to light up our home and expensive services to repair things that we are capable of ourselves! Cook your own food at home! For some, cooking ALL your own meals at home can be a challenge especially if you are working and living in the city where convenience foods are everywhere but if you are able to cook all your own food at home rather than relying on these convenience foods, you will have more control over your food security. And you can also save yourself hundreds of dollars! If you need inspiration, our Recipe Box is full of our homemade recipes made with real farm food ingredients. This was this first step we took to become more self reliant and now, we would never eat store bought bread because homemade bread tastes so much better and saves us hundreds of dollars each year. We started with this Easy Bread Recipe but now we love our Sourdough Bread Recipe because it's easy on the belly and we can grow our own wild yeast or Sourdough Starter. Anyone can start growing at least some of their own food no matter where they live. Apartment dwellers can start in pots, you can borrow someone's else yard, or rent a community garden plot. The more you are able to grow for yourself, the less you will need to rely on the grocery store. Here is a list of 6 vegetables that are easy to grow for the beginner gardener! 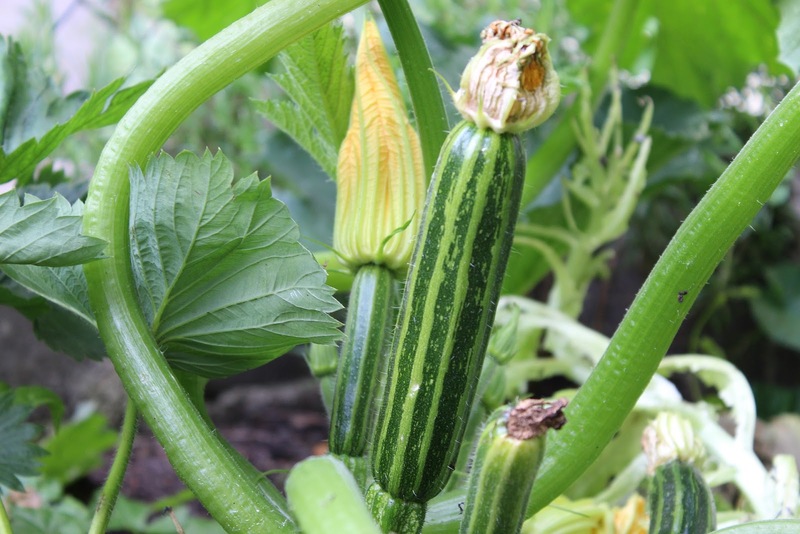 If you want to grow big beautiful and juicy vegetables, you will need to feed them to ensure they have the nutrients to do so but relying on the garden centre and buying fertilizer or manure can be expensive so why not grow your own compost pile for yard and food waste! Basically, eating seasonally means you are eating what is freshly harvested in your area, or your own garden. If you can learn to meal plan and eat only seasonal vegetables you will be less reliant on your grocery store to bring in off season vegetables or fruit, and you could even grow all your own food. 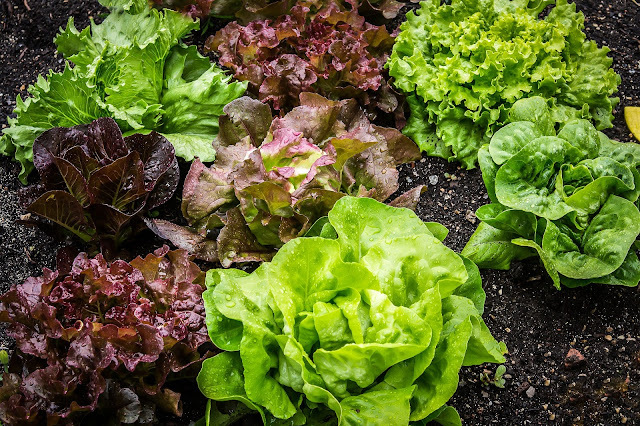 For example, broccoli, cauliflower, swiss chard, spinach, brussels sprouts are all cold season vegetables that can be over wintered or harvested throughout the winter season so these are the vegetables you should be growing for and eating this winter! 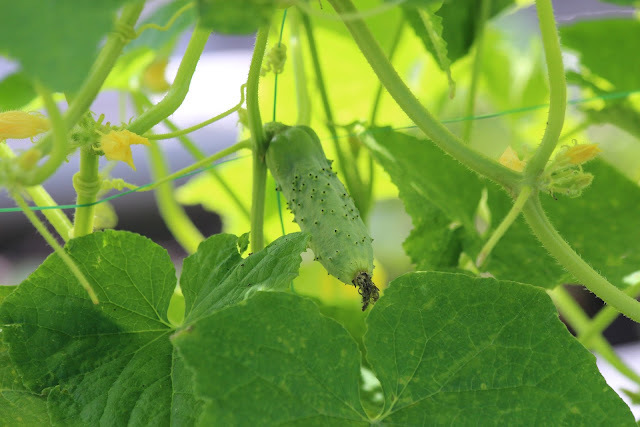 Ways to be more sustainable & self reliant | Grow your own food! Eat what you have available to you! If you have a pantry full of food but you want Chicken Taquitos instead, although they are delicious, you should probably skip the trip to the store to get what you need to make the taquitos and eat what you have in your pantry. Relying on the grocery store to always be there to fill these quick impulse needs with cripple your self reliance. This may require you to have land to plant trees but if you can swing it, planting an orchard of fruit bearing trees is an amazing and abundant way to be more self sustainable and self reliant! 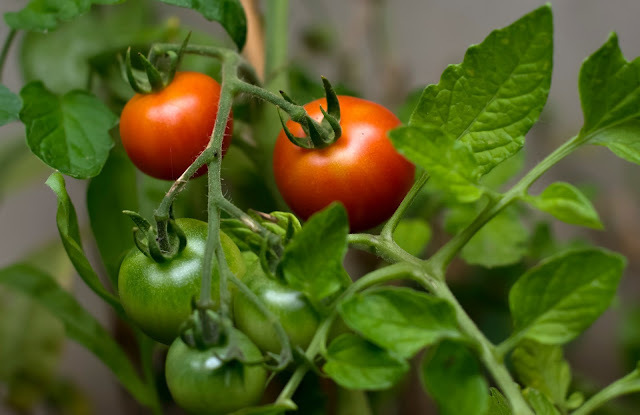 Depending on your plant hardiness zone, you could grow hundreds of pounds of fresh fruit from your property to help you eat seasonally. Many of these fruits could also be preserved to fill your pantry! 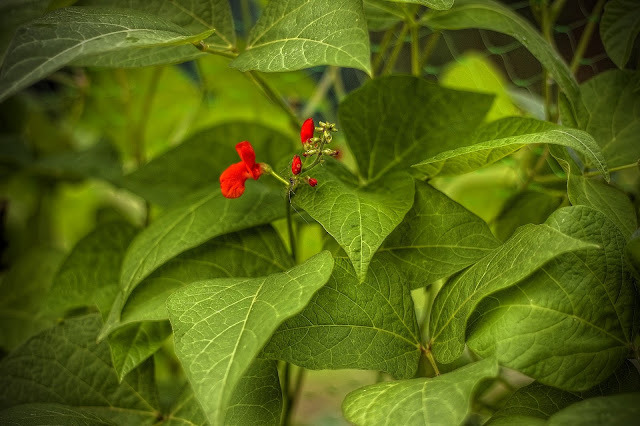 This is similar to growing an orchard of fruit bearing trees but depending on your zone, there are other perennial foods you could grow like raspberries, blueberries, asparagus, rhubarb and even horseradish! First you will need to check you Canadian Plant Hardiness or USDA Hardiness Map to learn what zone you are in so you will know what plants grow best in your area. ..because it is incredibly fun to get back to our roots and harvest wild foods in our own back yards rather than relying on the grocery store all. the. time. If you are new to foraging, be careful of what you are harvesting and find more information on what is safe to ingest. Look around on the internet to find local handbooks or guides that are specific to your area. We have harvested enough wild raspberries before to make a batch of raspberry jam! Learn to fish or hunt! Getting your fishing or hunting license is a rewarding way to become more sustainable and self reliant and it also creates a fun hobby, pastime, and even memories, with the right people, and you can fill your freezer with organic wild game! Learn to preserve your food! Again, the less you have to rely on the grocery store or super market, the more prepared and self reliant you can become. If you are growing an abundance of your own food, preserving it before it spoils ensure you can keep enjoying it. Canning, preserving, dehydrating and even freezing are all great ways to preserve your food! Dry your own herbs and spices! 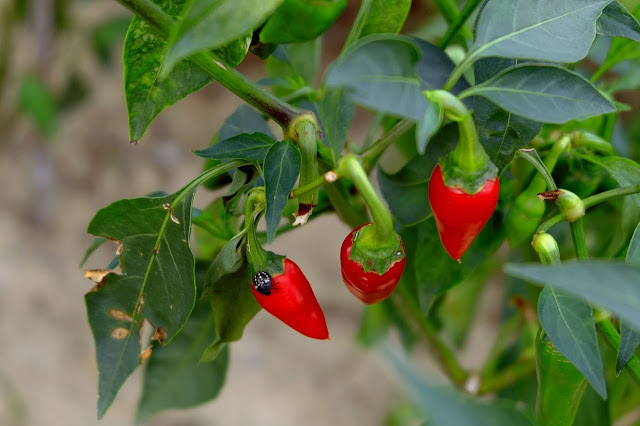 If you are already growing your own food, consider adding some herbs in your garden because they are great for pollinators, can repel unwanted pests in the garden and can be harvested and dried to use in cooking. Just another item you can grow yourself! Invest in the right kitchen tools! When you are trying to be as self reliant as you can, you are taking a lot of time to do things you otherwise wouldn't have to do. Peeling hundreds of apples, mashing strawberries, grinding up pork or beef for the freezer rather than buying these finished goods at the grocery store takes so. much. time. By investing in the right kitchen tools you are able to get more of these things done! Immersion blenders, meat grinders, apple peeler and corers are just a few gadgets you will want in the kitchen when growing and preserving your own food but you will quickly discover more as you go! Invest in the right tools, they are worth it! Make your own household cleaners! Making your own cleaners is really easy and another way to be more sustainable and self reliant! It's also better for your health to reduce the toxins and dangerous chemicals in your home. In this post, I have a great DIY All Purpose Cleaner we love and use everywhere in our home! Caring for a backyard flock will give you fresh eggs daily but you could also have more chickens than what you need to sell, trade, or barter the eggs for other things you need around the homestead or to pay for your chicken feed. They say that chickens are the gateway animal to more farm animals like rabbits, ducks, pigs, turkey, lamb and even a cow. Raising your own livestock to fill your freezer is a great way to be more self reliant. If you are new to raising livestock start with a small animal like chickens or rabbits! Seeking out neighbours and making friends with other homesteaders in the community is essential to becoming more sustainable. Other homesteaders may be growing different produce or raising different livestock than you and may want to barter or trade. It is difficult for one homestead to do it all so if you can find your people, you won't have too. Many homesteaders welcome trading or bartering and you probably have a Facebook Group for your specific area! YouTube has a wealth of information for the beginner carpenter or handyman so you don't have to find someone else to fix your toilet, repair your roof, or change the oil in your vehicle. Gathering these skills as you need them is a great way to be more self reliant and can save you thousands of dollars over the years. We started with spark plugs! As a woman, this can save you a lot of money but it's also better for your body! Reducing the amount of toxins and dangerous chemicals that are absorbed into your skin can help reduce the toxin load on your liver and improve your health! 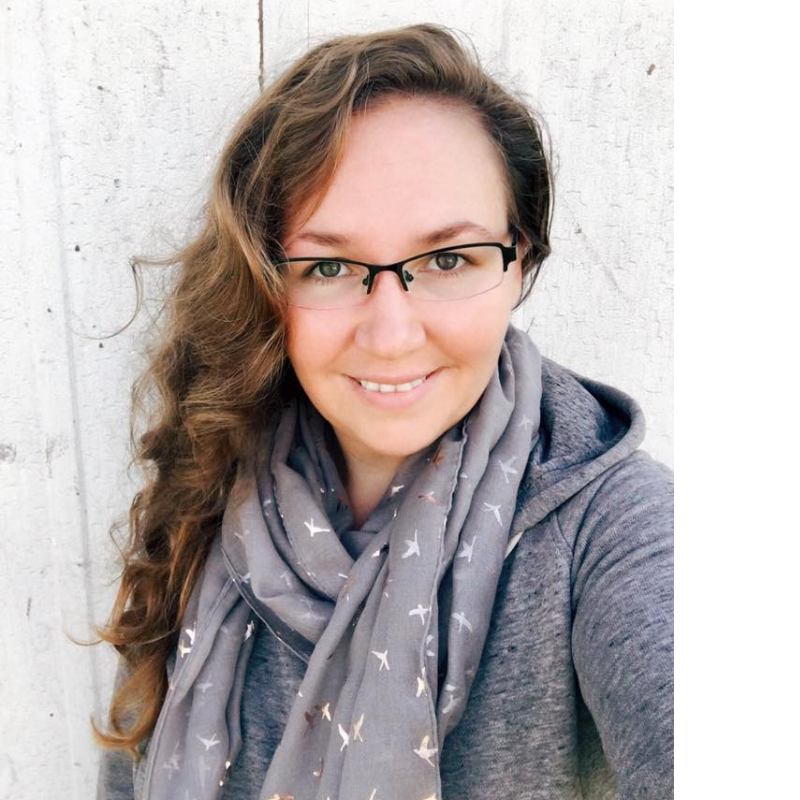 I make all our own personal care products and have an eBook in our market that gives you all the recipes you need to make all your own beauty products. If you are interested in the ebook and want to save 25% on it, subscribe to our email list and you'll be sent a coupon code! Learning to live in a way where you use less power when connected to the grid will allow you to be more self reliant if you are a doomsday preparer or not. In my experience, using less power means a smaller power bill and less hours we have to work away from the home. This is another one where it kind of depends where you live but even if you were to pick up a portable solar charger for your cell phone, you would be more self reliant and have a lesser power bill. We love our small solar system and the freedom from the grid it provides. Here we shared how to estimate how much solar power we needed. But having solar power isn't just to lower the power bill, it also ensures you will always have power even when the neighbours don't. Learning how to change your spark plugs, oil, brake pads and perform basic car maintenance are great ways to become more self reliant. Most vehicles come with a manual that will help you perform these tasks and will let you know when they should be done but if you don't have your manual, YouTube has lots of videos to guide you through it. Just be sure to check the warranty on your vehicle to ensure it won't be invalid for doing it yourself. If your town or county permits, harvesting rainwater to water you gardens is a great way to be more eco friendly and sustainable. Having access to a wooded lot and a wood stove is one of the most sustainable ways to heat your home. So if you have a choice when building your homestead, go for wood heat! Not only is seed saving a really fun and rewarding past time, it can save you more money when spring rolls around and you already have the seeds you need for the upcoming gardening season. There are all kinds of claims out there to work from home but I really only know of the ways that I have been able to work from home with our Market, this blog and with the natural wellness opportunity. If you have a skill or hobby you can earn an income from home with, go for it and be more self reliant!